A Dallas Infrared Inspection or Infrared Moisture Surveys, use an infrared camera to visually see minute temperature differences that indicate moisture leaks. Our digital infrared cameras can see in the short wave infrared spectrum of light. 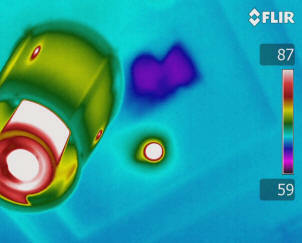 The resulting images or thermograms, indicate evaporation of bulk moisture in your house or business. The infrared camera sees the small difference in temperature that indicate water seeping into the structure or evaporating. The FLIR T 620 is a, high resolution digital infrared camera is our tool of choice to help determine the energy efficiency of your home or business. This infrared camera is the state of the art digital thermal camera on the market today. It has higher digital resolution that allows for wider inspection conditions. That means that we can find smaller energy loss problems than our competition. The cameras rugged nature allows for longer equipment life and that translates into more effective images for our clients. 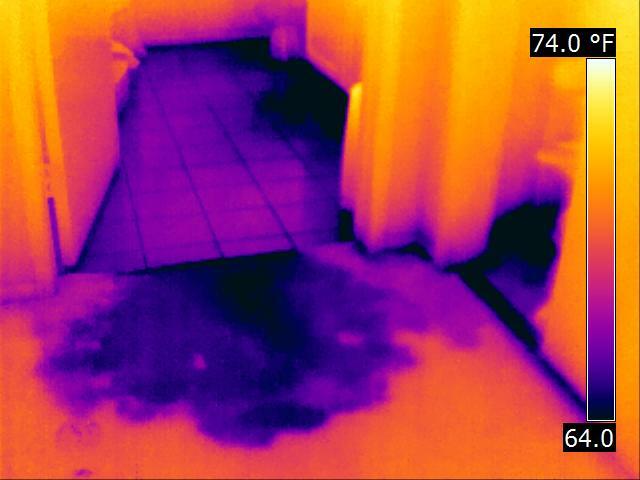 Your water leak problems are no match for the power of this infrared camera. A Closer Look Inspection Service has different Dallas infrared services to help you take control of your energy consumption and it all starts with knowledge about your personal energy use. Our Thermographers use Infrared imaging as a tool to help detect heat losses and air leakage in your building envelopes. Dallas Infrared is here to answer your questions about this new infrared camera technology. Infrared images can review problems with house insulation and attic insulation problems that may not be evident to the naked eye. A Closer Look Inspection Service is a member in good standing of the United Infrared Network, which is the largest network of multi-disciplined infrared contractors in the world. As a member, we receive support for our customers from industry experts with decades of combined experience. A Closer Look Inspection Service has been performing energy audits and inspections for more than 25 years. They specialize in performing residential surveys to find energy loss in your home. Your Dallas Infrared specialist for performing home IR inspections.